A serpentine belt is an important part of your vehicle’s engine block, powering your alternator, power steering pump, air conditioning compressor, and more. Read on to find out about when to replace your serpentine belt, and to find out about the risks you run when you ignore serpentine belt issues. 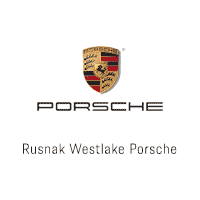 If you find out you’re in need of replacement serpentine belts, then make the trip to your Westlake Porsche service center in Thousand Oaks, where we have Porsche service specials going on near Agoura Hills right now! In normal conditions, most modern serpentine belts are able to last for between 50,000 and 100,000 miles. However, this can vary somewhat depending on the kind of conditions you drive in and other contingent factors that can be difficult to gauge, which is why it’s a good idea to keep your eye for symptoms that it’s time to replace your serpentine belt. How Do I Know it’s Time to Replace My Serpentine Belt? What Happens if I Don’t Replace My Serpentine Belt? If you don’t replace your serpentine belt when it shows signs that it’s time for a new one, then you’re risking the failure of a variety of different vehicle systems, including the power steering, your alternator, water pump, and air conditioner. Get a Serpentine Belt Replacement Near Westlake Village at Our Malibu Porsche Service Center! If you’ve experienced any of the issues listed above, it’s likely time to bring your vehicle in for a serpentine belt replacement near Oxnard at Rusnak/Westlake Porsche, your Thousand Oaks Porsche service center with lots of service specials at 3839 Auto Mall Drive in Thousand Oaks, CA. Got questions about servicing your Porsche? Then contact us online or give our Porsche certified technicians a call at (844) 245-3668. 0 comment(s) so far on What is a Serpentine Belt?